There is no exact information available as to how many plots were balloted on 25th December 2017 but we can use some guesswork here. 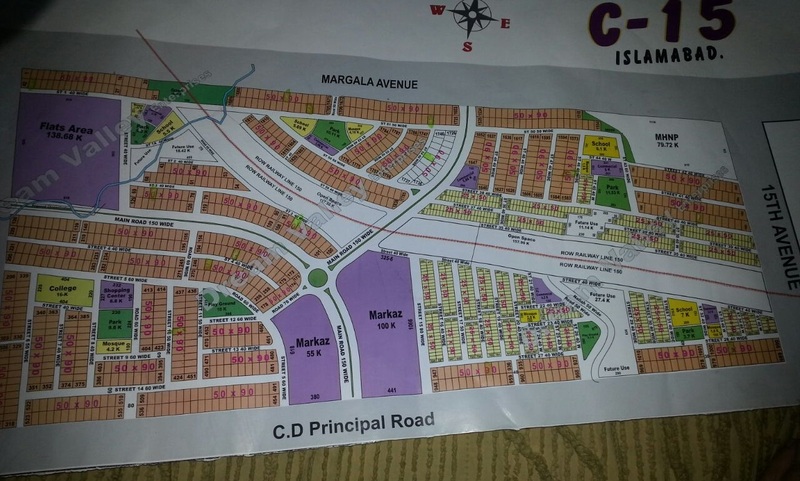 Since DHA has balloted plots in 9 blocks, but it has released just 3 maps having 1 kanal plots only. A, B and C blocks contain more than 4000 plots of 1 kanal size each, so if we consider the same pattern for all the blocks of DHAP, it seems to go above 12000 plots in total. 1. There is no central commercial, no community center, no amenities and not even parks. All we have are spaces laid open and named “DHA reserved area”. Now this reserved area could be parks, or markets or sector shops with overhead tanks. The value of surrounding plots will change dramatically based on what it actually is. 2. There are multiple plots that do not appear on map but have a plot number allocated in ballot. For example, I got one plot in Sector C in 1600 series, whereas the existing sector C map is only up to 1400 series. It is a ridiculously immature act to ballot and allocate plot numbers without a map. 3. 10 Marla plots do not appear at all in the given maps, but they have been balloted. 4. DHAP will start leving development charges on instalments on all plots now which is likely to result in selling pressure. 1. One can see that the current A, B and C sectors make a one kanal community with no smaller cuttings. This will give good impact to these sectors in long term as the outlook of these blocks will be much better than other blocks which either have a grave yard or a village nearby or will have smaller cuttings. 2. There is no village or grave yard near A, B and C sectors. So there is hardly any bad location plot in these sectors at least. 3. Ring Road and bypass are likely to be constructed in 2 years time and will have a big positive impact on the overall society. It looks like a medium term (2 years at least) holding project. Selling at this stage is not advisable in my opinion if one can hold for 2-3 years and pay development charges. In 3 years or so, the ROI is likely be equal to ROI in DHA Multan etc (approx 100%) when possessions will start block wise and when the Ring Road/bypass roads are completed. Taken from Perdes Property Group and shared after necessary editing and additions.